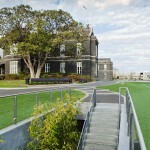 In 2009 Melbourne Grammar School moved all surface car parking on the campus to an underground facility beneath Steele Oval. 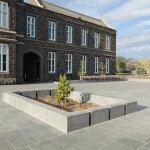 Urban Initiatives was commissioned to design and document a new forecourt between the Witherby Tower and Memorial Hall, on land freed up by through the removal of car parking. 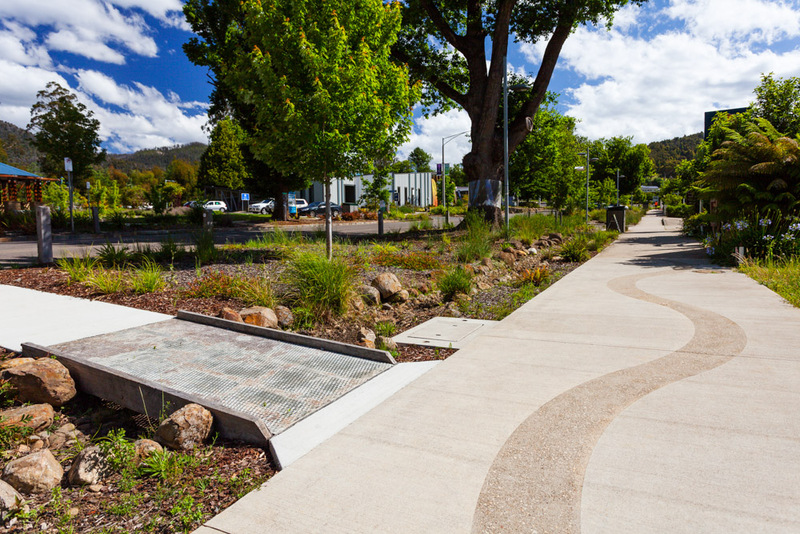 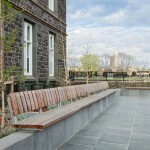 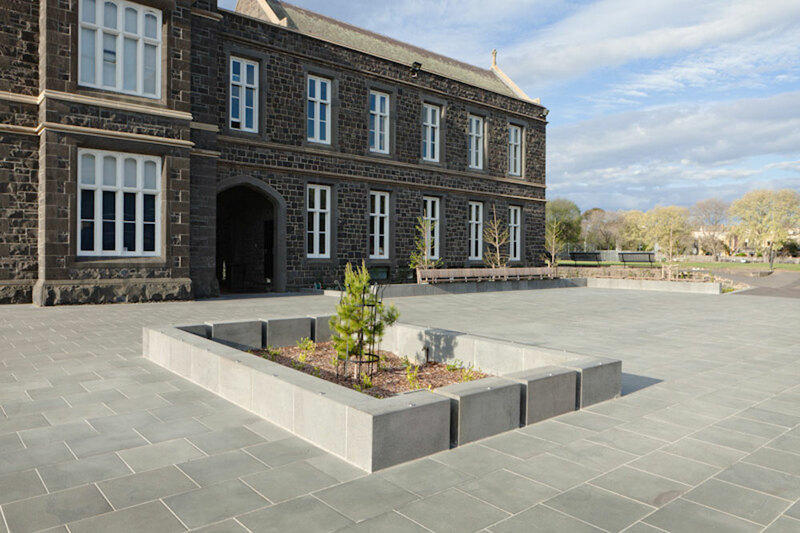 Careful resolution of circulation and grading issues along with considered material choices and detailing resulted in the creation of a formal, elegant yet flexible plaza that sits comfortably in the historic context of the older school buildings. 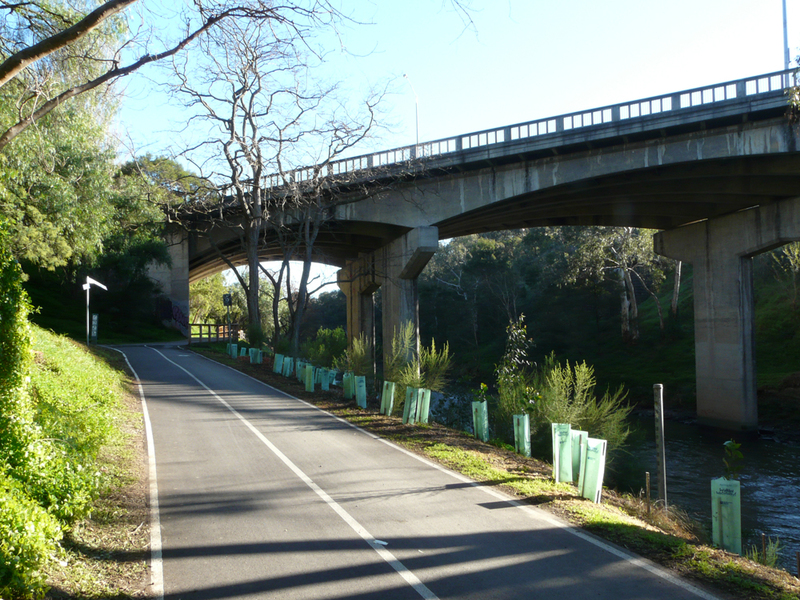 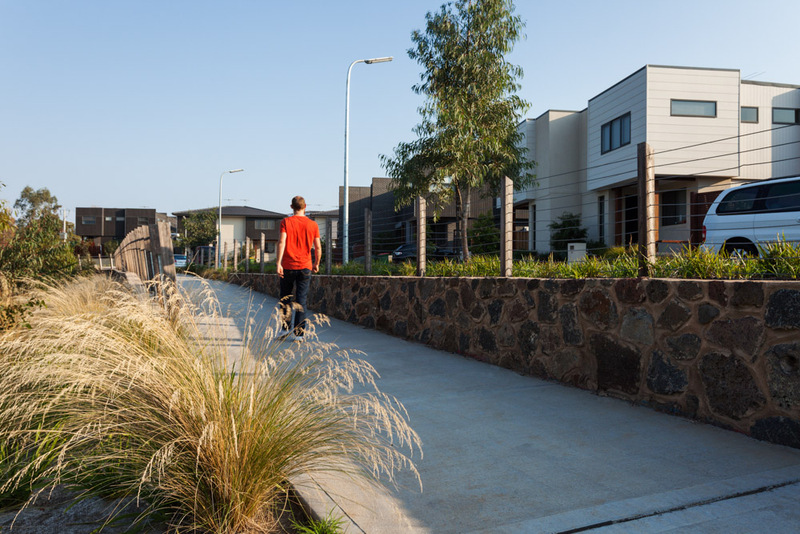 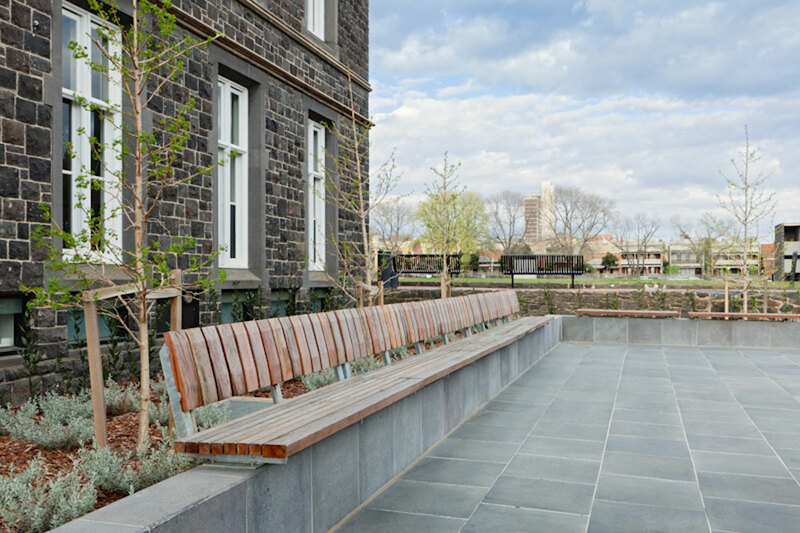 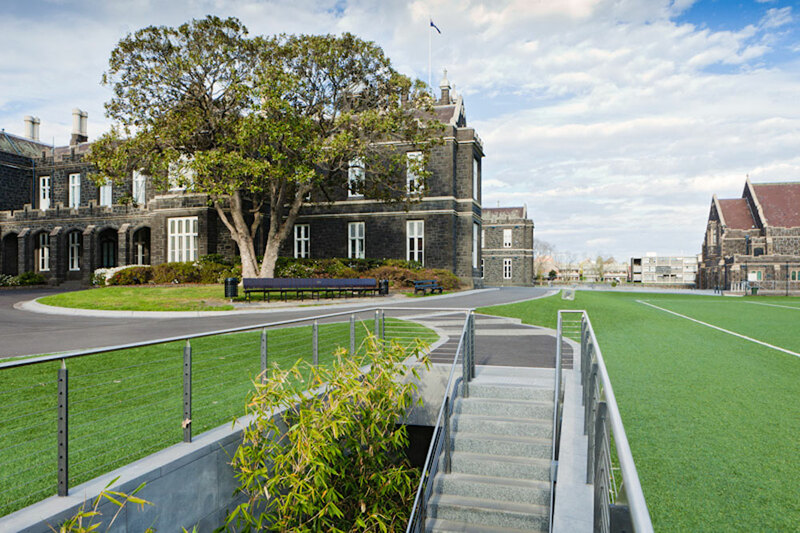 For over ten years now, Urban Initiatives has worked on a range of landscape projects at Melbourne Grammar School, including our involvement with Peter Elliot Architects in the Cafeteria, Memorial Hall and Steele Oval projects.